Hi everyone. Today I am privileged and excited to be at the National Summit on Volunteer Engagement Leadership in St. Paul Minnesota. I want to share as much as possible with you so later today I’ll post information on all the great takeaways. What a pleasure to see so many leaders of volunteers gathered together to share knowledge and wisdom with one another. It’s inspiring to feel the desire to elevate not only the volunteers but also the profession. It’s like a family reunion where you sense the invisible tendrils of a rooted connection emanating out in a net of shared experiences. We are not alone. We are actually many. We have comrades, compatriots and members of our sector out there. Our link can be strong. Together we have voice. More from the Summit to come. The profession greatly needs to be elevated. Respect for volunteer managers and the understanding of the complex work we do is tantamount in everyone’s mind. How we do that will take great effort. 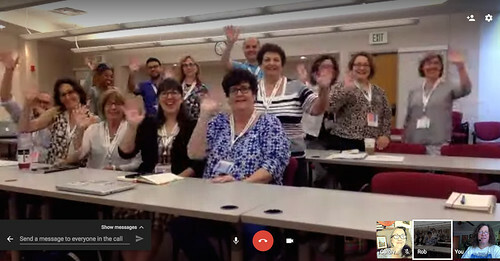 The future will include some sort of hub or central location to disseminate information, create educational opportunities, or have a central voice. Change is rapid and must be addressed. 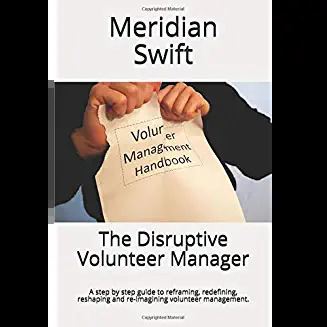 The changing landscape of volunteer engagement includes new generations of volunteers, volunteer expectations, defining the volunteer manager role, reporting and other aspects. Voices need to be heard. Working independently to create change is not as effective as the community of volunteer leaders. Are we a profession or a specialized skill set? Or both? 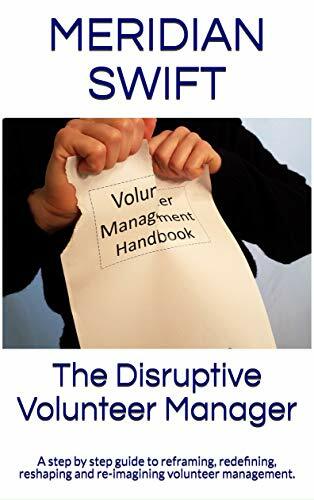 Are volunteer managers destined to lead non-profits? Look for the blogging community to address many of these topics in the coming months. It was great seeing you on the jumbotron! First, a huge thank you to yourself and all the fantastic volunteer coordinators and leaders out there! It is a necessary and often thankless task. Second, I look forward to seeing what you come with in your research!